Rosy the Reviewer: Some TV Shows You Might Not Know About (and 14 That You Should)! Some TV Shows You Might Not Know About (and 14 That You Should)! The Queen of TV is back. I have told my story of my hopeless addiction to TV that started at a young age in the early days of television (yes, I am that old) in my blog post "Confessions of a TV Addict." I have also shared my feelings about various television genres countless times, such as how I would do on "Naked and Afraid," or what kind of a "Real Housewife" I would be, so no need to go into more details. 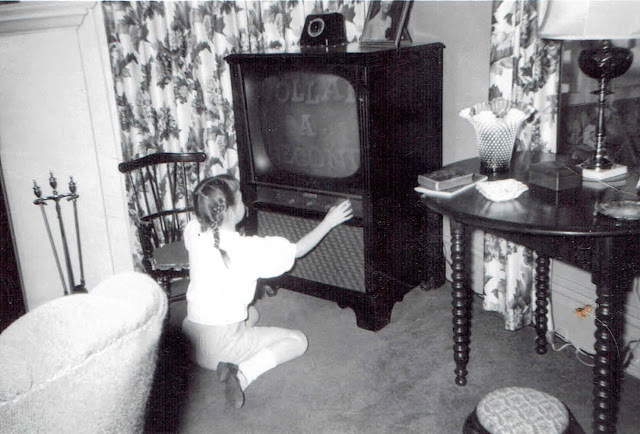 (If you want to read other accounts of my TV watching life, see the end of this blog post). 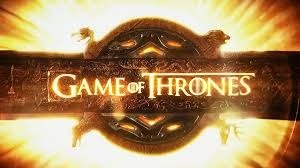 From time to time I like to pop my little TV-loving head up and tune you in to some TV shows I am currently enjoying. I am not going to talk about my obvious favorites that no doubt you have heard of, such as "Game of Thrones," "Dateline" or "The View." No, I am going to clue you in to some shows that perhaps you have missed or that have not gotten much publicity. There are so many channels these days and so many programs vying for your attention, I am not surprised if you haven't heard of some of these. But that's what I am here for. Rosy the Reviewer sees it as her job to not only watch movies and read books for review, but I must also sweat and toil in front of the television so as to be here when you need me. So here I am to report on some television shows I like that might not be on your radar. Some are must-sees and some are just fun and will allow your mind to take a break. I realize that a few of these shows are not currently on right now, but with On Demand, Hulu, YouTube and The Internet, I am sure you can find these shows if you are so inclined or you can wait for their next season. If you don't watch anything else, this is the number one TV show you should be watching right now. I am predicting that this show will get the Emmy for Best Dramatic Series and Sarah Paulson will win for her extraordinary portrayal of Marcia Clark. Heck, it's worth seeing this show just to see John Travolta chew the scenery as one of O.J's counsels, Robert Shapiro. My younger readers might not know much about the O.J. Simpson trial and the impact his innocent verdict had on the nation at the time, so all the more reason to see this show. It is a part of our social fabric. But even for those of us who were there, this 10-part series is riveting from the first episode and clues us in to what was really going on behind the scenes. We saw the trial on TV but had no idea what the major players were going through: that prosecutor Marcia Clark was constantly being criticized for how she looked (what else is new for women? ), and she was in the midst of a divorce and child custody trial herself. 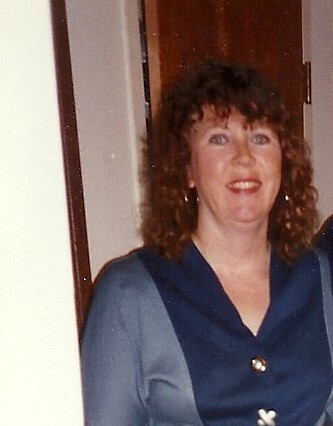 Co-prosecutor Christopher Darden was unsure of himself and, did he have a thing for Marcia? 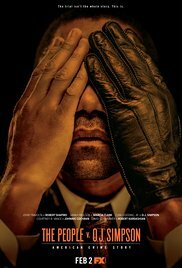 Based on the book "The Run of His Life: The People versus O.J. Simpson" by Jeffrey Toobin, this mini-series features an all star cast including Cuba Gooding Jr. as O.J., David Schwimmer, doing a great job as the late Robert Kardashian (yes, that Kardashian), Nathan Lane as F. Lee Bailey and Courtney B. Vance as Johnnie Cochran. If you don't see this one, you will be sorry when it wins all of the awards. This is what great TV is all about. This Agatha Christie tale (it's one of the best-selling crime novels of all time) has been told many times but not this well! It's 1939 and ten people are lured on various pretexts to the fictional British Soldier Island by the mysterious U.N. Owen. When the guests gather for dinner, a recording is heard accusing each of them of murder. And each of them is guilty as hell. Then, one by one, each is killed off. As they try to figure out "who done it," they realize the killer is one of them. Your favorite British actors are on hand in this lush production - Miranda Richardson, Charles Dance, Sam Neill, Toby Stephens, Aidan Turner (that dishy Poldark) and more. The production design is creepily atmospheric. This is one of the great plotlines that has been used over and over in various incarnations, and it never gets old. This is the kind of period mystery that the Brits do better than anyone. "Brilliant!" as the Brits would say. I am so into this show that I wrote an entire blog post about it ("How Would I Do On 'Naked and Afraid?"). I am sure the title alone would turn people off. Yes, the people are naked, and yes, they are sometimes afraid, but what makes this show so compelling is what people will do FOR NO MONEY WHATSOEVER! This is a survival show where a man and a woman meet each other for the first time - ahem, naked - in some exotic locale teeming with critters that want to kill them. They are only allowed to bring one item with them, usually a machete, fire starter or pot, and they must stay out there for 21 days. They have to find a campsite, find water and food and get the hell out of there after the 21 days. People who enjoy shows about the outdoors, surviving in said outdoors and, I guess, naked people walking around with their naughty parts pixilated will like this show. I find it absolutely riveting - the survival part, not the naked part. Max Silvestri hosts this new cooking competition where chefs must create a wonderful dish using a key ingredient that they need to guess by asking a series of questions, some of which might not be answered truthfully. They try to guess their key ingredient by asking questions. Their competitor might answer truthfully and might not. At the 10 minute mark, they get to ask more questions and at the five minute mark, they find out what the ingredient is and really have to hustle to finish their dish. Based on the parlor game "Two Truths and a Lie," the competing chefs can ask three questions, two of which will be answered truthfully and one with a lie. It's fast paced as the chefs scramble around the kitchen trying to cover all of their bases. They present their dishes to celebrity chef judges Chris Oh and Jonathan Waxman who declare a winner of that heat. 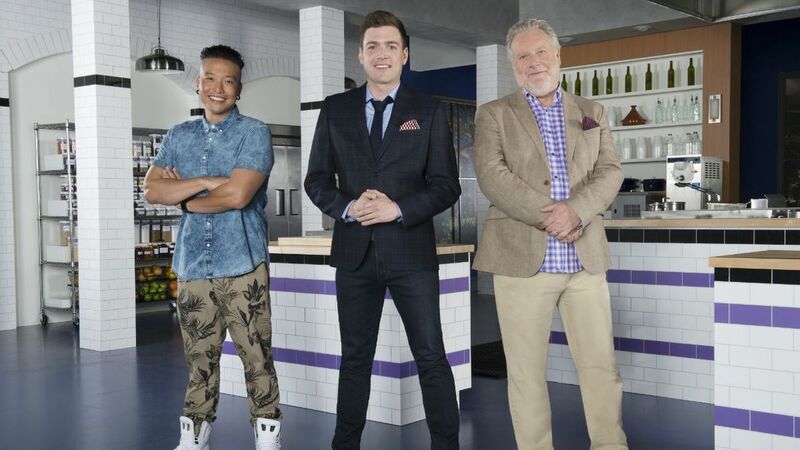 There are two heats and the winners of each face off for a final challenge which also involves more lying and deception, and the chefs who lost in the earlier heats can scheme their way back into the competition. There are competitions that also include celebrities, most recently Lou Diamond Phillips and Steve Howey. It's a strange little twist on "Top Chef" that is worth checking out for those of you who love cooking shows. Yep. Three couples are put together by relationship experts and get married on camera in a traditional wedding ceremony after seeing each other for the first time as the bride walks down the aisle. They are then followed and counseled by the experts for six weeks and after the six weeks the couples must decide if they should stay married or get a divorce. There is nothing sensationalistic about this. It's a fascinating experiment, part reality TV and part marriage counseling. I found out about this show from my son and his wife and I'm glad I did. It's addicting! The experts are clinical psychologist Dr. Joseph Cilona, sexologist Dr. Logan Levkoff, sociologist Dr. Pepper Schwartz, and humanist chaplain Greg Epstein. How can you resist a show that has a Dr. Pepper in it? Andy Cohen, who is responsible for much of the reality TV on Bravo, particularly "The Real Housewives" also has his own late evening talk show. What I love about this show is that it reminds me of the late night talk shows of old where the host and the guests sat around and just had fun - adult fun. There is minimal plugging of their shows by the guests, no self-aggrandizement. It's 30 minutes with Andy and just two guests and some related person running the bar, because like I said, it's adult fun. There is always a "drinking game alert" and the like. Andy sometimes opens his "vault" to show pictures of the celebrities before they were famous and he plays all kinds of games, my favorite being "Plead the Fifth," where he asks the celebrity guests three questions and they can "plead the fifth" to only one. He has interesting pairings - a recent show paired Loretta Lynn and Isaac Mizrahi. But it's Andy himself who makes this show. He is so enthusiastic about the guests, he's like a little boy in a candy shop - and he loves gossip. Since there is drinking going on, you are often treated to the guests saying something outrageous. I'll drink to that! This show has won many Emmys and despite its sensationalistic subject matter is an amazing, sensitive look inside the world of addiction. 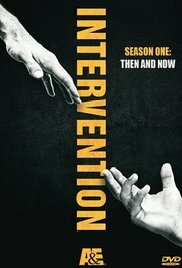 You would think at some point, the subjects would realize they are on "Intervention" or that the show would have trouble finding people who wouldn't be suspicious that they would end up in an intervention. This show has been on for several years but they don't seem to run out of participants, a sad commentary on the drug epidemic, and I guess if you are doing drugs, you don't watch a lot of TV, especially shows about drug addiction! I can't tell you how many times this show has brought me to tears, especially when they roll the end credits and tell you what happened to the person and that someone didn't make it. It's real, it's gritty, it's heartbreaking and it's inspiring. Who knew someone else's genealogy could be so fascinating? As a librarian, I used to hate genealogists because they were very demanding and we had to do all of the searching by hand. Though there is still an element of that in the searches, the Internet has made finding one's family tree much easier with resources like Ancestry.com. Host Henry Louis Gates Jr. (those who know him call him "Skip") puts celebrities in touch with their roots and ancestors they never knew about. A recent episode featured Dustin Hoffman who was brought to tears by the story of his grandfather who he never knew. Others who have appeared: Gloria Steinem, Mia Farrow and Neil Patrick Harris. A fascinating look, not only into the forbears of celebrities, but of history. A drama about the not so glamorous life of the professional ballerina. Troubled Claire Robbins (Sarah Hay) runs away from her hometown to seek a life as a professional ballet dancer in New York City only to discover that her troubles have just begun. Her talent is noticed by the tough but legendary Paul Grayson (Ben Daniels), who runs The American Ballet Company, and he wants to feature her, much to the dismay of the other dancers who dislike Claire and are jealous of her. Just as she is struggling with her issues with the dance company, issues from her past follow her to New York. This is a compelling backstage story showing the cutthroat ambitions rife in the world of ballet. It's a mini-series similar to "Smash," but it's more adult, more gritty and more fulfilling and it's all about dance. With an excellent cast, the music and dance sequences are stunning. How does Graham get Ben Stiller, Owen Wilson, Sir Elton John, Penelope Cruz and Jack Black all on the same show? I don't know, but he does. All of his shows are full of A-listers. Jimmy Fallon and other U.S. talk show hosts must be green with envy. Graham Norton is a national treasure in the UK, and it's because he is just a really nice, witty and fun guy. He has fun with his guests and at the end of each show, a "civilian" sits in a red chair and tells a story. If the story goes over, that person gets to walk off. If not, Graham pulls a lever and the storyteller literally goes over, the chair tips over backwards. Why is it so funny to see people tipping over? A fun evening of witty repartee. The house hunters aren't tiny, but the houses they are looking for are. 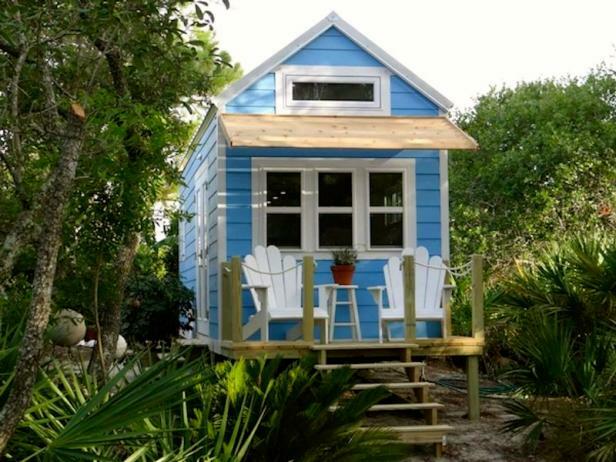 It's "House Hunters," but for tiny houses. If you are thinking of downsizing - REALLY downsizing - this is for you. Otherwise, it's a unique addition to the "House Hunters" franchise that is fun to see how some people want to live. However, I have yet to see an episode that isn't driven by a MAN. If any man tried to tell me I had to move to a 200 square foot home with no closet space for my shoes, I would say, "See 'ya!" But you can't account for taste...or women trying to please men. If you like the "House Hunters" franchise, this is a fun addition. Amy is the funniest woman in movies and on TV today. This show is a series of sketches written and performed by Schumer. They are very edgy and some of them don't work, but it's still one of the funniest 30 minutes on TV. She has no shame and is not afraid to "go there." You will be shaking your head but laughing. And if Amy is the funniest woman, then Louie C.K. is the funniest man. This sitcom shows Louie as a kind of sad sack guy who, like the real Louie, makes his living as a stand-up comic, but for the fictional Louie anything that can go wrong does - to hilarious effect. His deadpan is as good as Buster Keaton's was and the writing is sharp, dark and very adult. Portland is a metaphor for everything politically correct, yuppie and "out there." Portland doesn't have the motto "Keep Portland weird" for nothing. SNL alum Fred Armisen and Carrie Brownstein skewer everything from feminism to political correctness to brunch in a series of sketch comedies. Not all of them work, but the two of them never cease to entertain. It's refreshing to see original work that goes for it. These two have no shame. It's delightfully quirky and funny because there is a little bit of "Portlandia" in every town - and in us. Oh gosh. So many shows here I never heard of! Where have I been? The one I did hear about was the OJ story. 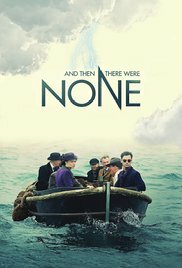 Have to see this one!! Madly making another list of your shows. Have you seen "The Americans" or "A Place to Call Home"? 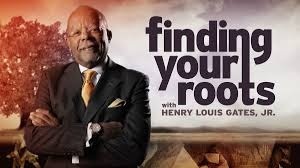 "Finding Your Roots" is a fav. The Dustin Hoffman segment brought ME to tears. I am one of the lucky people to have known "Skip" in my last job. There is no nicer more down to earth guy. This was when I was a part time receptionist at a Stanford think tank and as a fellow there and then a board member he was always so sweet to the staff at the bottom of the org chart (me). Think I mentioned him before. How cool is that? I would love to have known "Skip."